..DJ Dragn’fly (Strategik) brings her energetic, other-worldly style of trance and eclectic techno..
..DJ Smoove (Newsbreakz) graces the decks with his signature funky breaks and electro sound..
..DJ Influence (Strategik) rounds out the bill with his hard and dirty blend of electro and breaks. 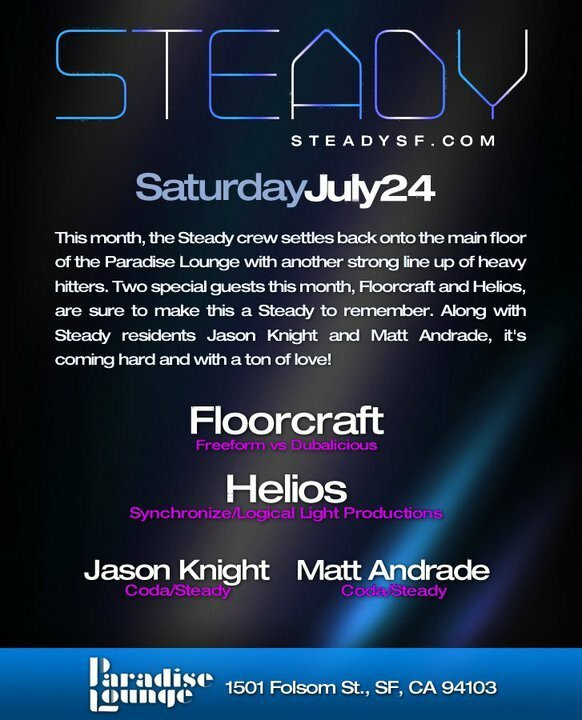 Steady residents Spesh, Matt Andrade, Jeff Richmond and Jason Knight keep the music going all night long. Radiant Atmospheres will once again be providing mind blowing lighting and visual effects. 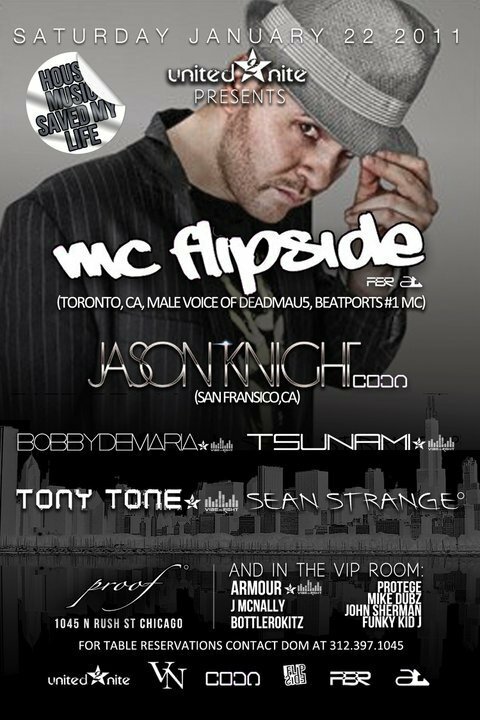 Free until 11pm with RSVP (or with a wave of your Qoöl Qard, or FiX card). 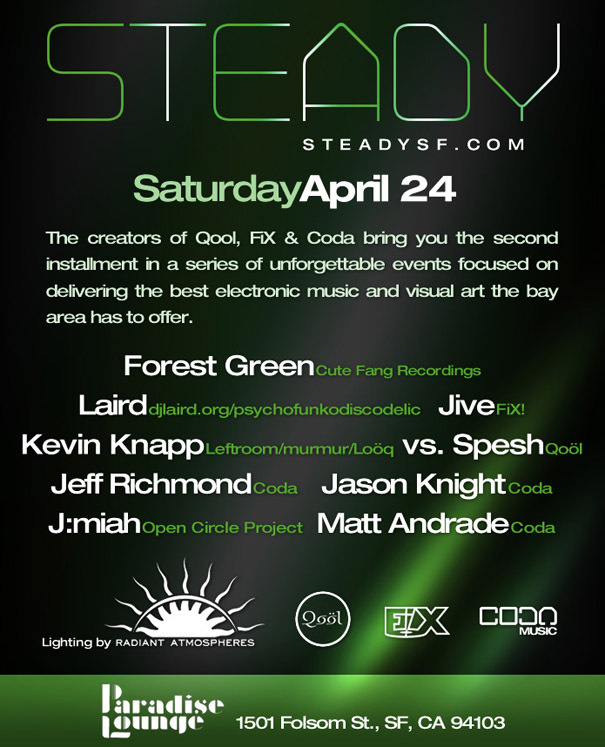 Thank you to all who came to Steady in March, it was an awesome kick-off event! We hope you can join us for the next installment on Saturday, April 24th. We’ve pulled together an amazing night of music and some special visual treats for you, including the return of Radiant Atmospheres. 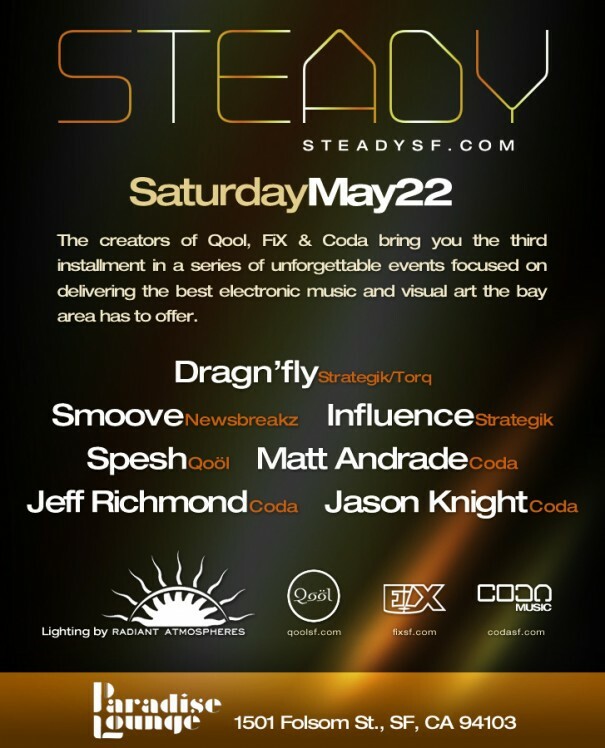 RSVP on the Steady website to get on the Guest List, or show your Qool card at the door and we’ll let you in free until midnight!